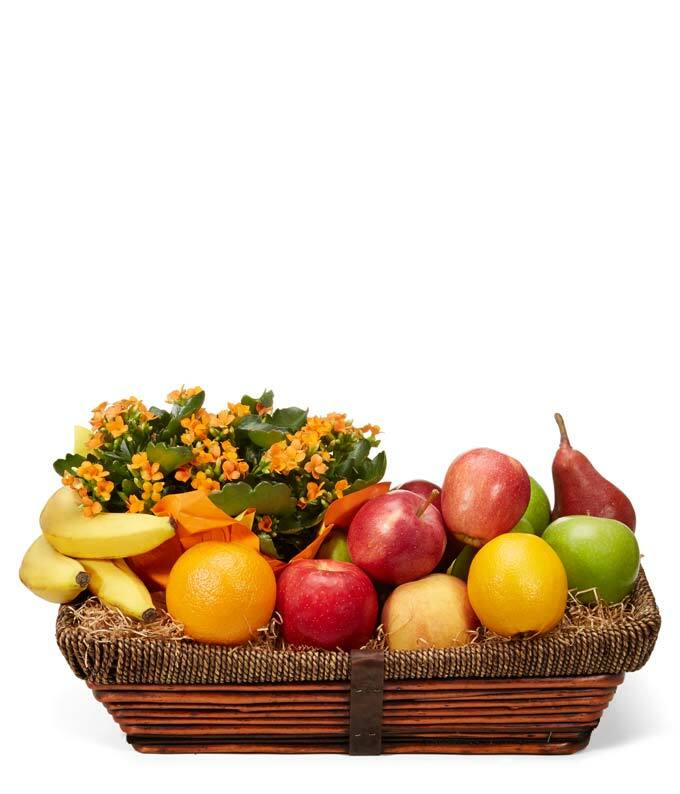 Pair beauty and bounty together as one in our Beautiful Kalanchoe and Bountiful Fruit Basket! This thoughtful, humble gesture is great for any occasion. Your recipient's blooming kalanchoe plant and fresh assortment of fruit are proudly displayed and delivered in a keepsake basket. Make them smile today! Please note: fruit variety may vary.